Clean all metal parts with cleaner. Inspect new driven gear and bushing (Figure 2, Item 4) to be used. is within tolerance of 0.001 to 0.0025 in. (0.0254 to 0.0889 mm). Using micrometer, measure diameter of shaft (Figure 2, Item 5). Using inside micrometer, measure inside diameter of driven gear and bushing (Figure 2, Item 4). 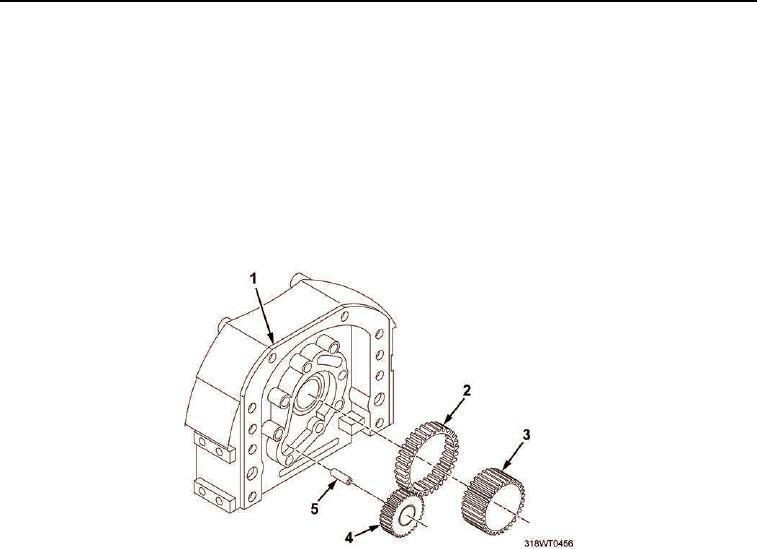 Inspect inner face of retaining plate (Figure 1, Item 2) for damage, wear or scoring. Replace damaged parts.